I work on a reward basis, that means you pay what its worth to you and what you can afford to have me find your lost ring or valuables. 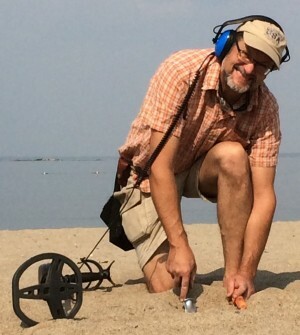 I started metal detecting when I was a teen 35 years ago. To date I have found over 60 gold rings, many silver pieces, relics, old and valuable coins. My entire life I have been looking for treasure from the earth. From for dinosaur bones as a young child to 28 years in the oil patch as a Geological Technologist looking for oil and gas. I now wait to use my skills and experience to help people recover valuables and highly sentimental items. Put my experience to work and recover your lost treasure.